We’re only going to follow one of those lines of diversification and adaptation: ours! The organisms that found homes in the trees adapted fingers for grasping as well as a digit that went in the other direction, we call this an opposable thumb. 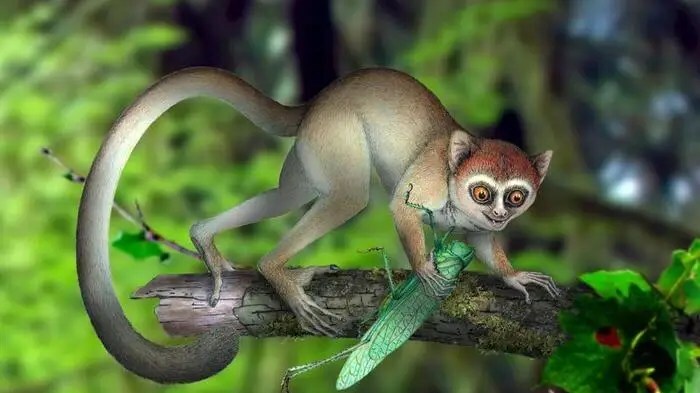 Things were good for our ancestors since they were very well adapted for life in the trees, safe from predators below and surrounded by plenty of food. 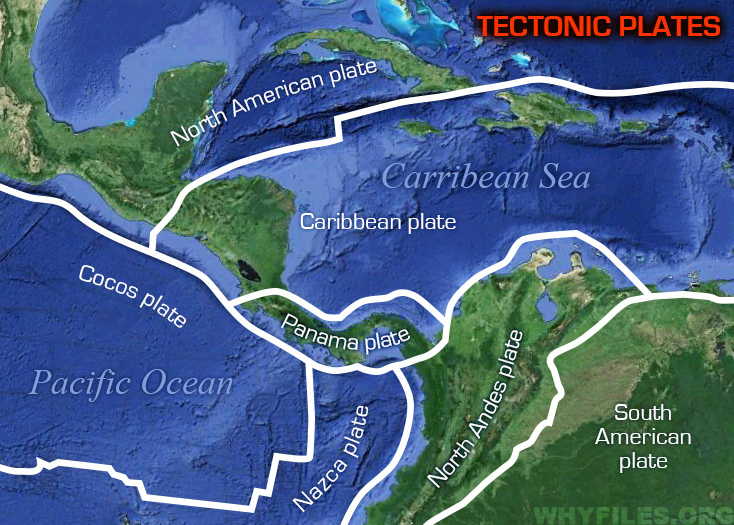 The merging of these continents caused the ocean currents to reroute, pumping warm water from the Caribbean Sea north toward Europe. That warm water pushed the cold water out of the way so it headed south along the western border of Africa. The cold water moved quickly and therefore the sun had less time to evaporate the water as it flowed by. With the sun evaporating less water, the water would stay in the ocean rather than form clouds and fall as rain over the land. This caused what we call a drought. With less trees, our tree-dwelling ancestors had a lot more competition for homes and food. Some individuals stayed and fought, others weren’t suited to compete and died. 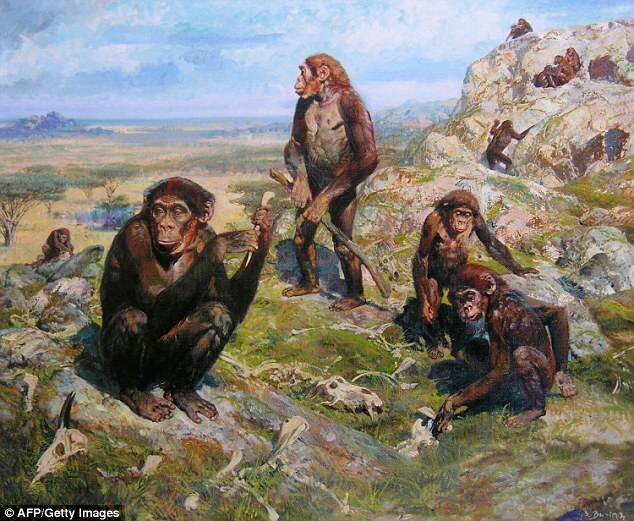 A few of our ancestors decided to try and find food elsewhere, and that required climbing down from the safety of the trees. 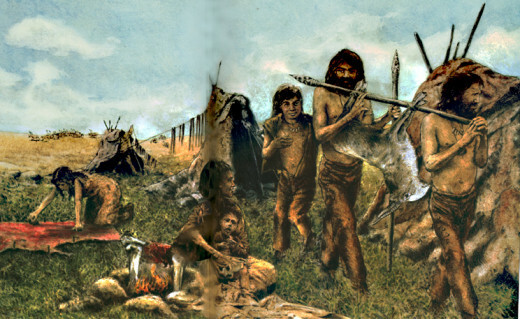 Given enough time and the necessity for protection, our ancestors were able to use their cognitive adaptation to use objects, like sticks and rocks and bones, as weapons or tools. These were the first engineers and artists, creating for their survival. Finding a new use for a rock or stick might not sound like the most impressive feat, but we were the very first ones to figure this out! The use of fire gave our ancestors a great way to make even predators fear them; we were climbing higher in the food web. Not only did our ancestors have the ability to think up new purposes for tools, they could also socialize and pair signals with meaning. This is not to say that they immediately created a language, but they did develop an effective form of communication that could aid in hunting. Remember, nature is a competitive game and all the players have to eat. With their weapons and their communicative skills, our ancestors became very capable group hunters. They could now flank their prey to surprise it giving them a better chance of a successful hunt.